The day started foggy and muggy. While driving to Gosford I passed through some very heavy fog. This was not very promising. However the road was empty and I arrived at Gosford Rifle Range half-an hour earlier than I expected, so I was able to enjoy the beautiful view to the National Park valley. Unfortunately from Roseville RC only Fernando and I were able to attend this event. 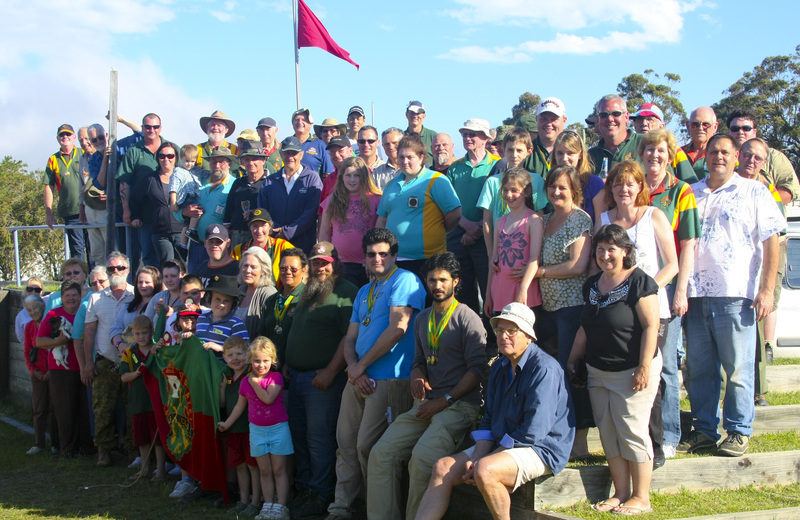 However I noticed many other North Shore District shooters from other clubs. I spent some time talking to a few people and finding out that some local shooters do not like Target No1 and prefer Target No7 as it is above the valley and less affected by side wind. Target No 1 however is very close to the slope and wind can not only be left-right, but also may have a vertical effect. I have not used my scope for almost a year while shooting on the electronic targets at the wind-protected Hornsby range, so I sat for a while with my scope watching the wind flags and trying to remember how to use the scope and correlate the mirage with the flags. 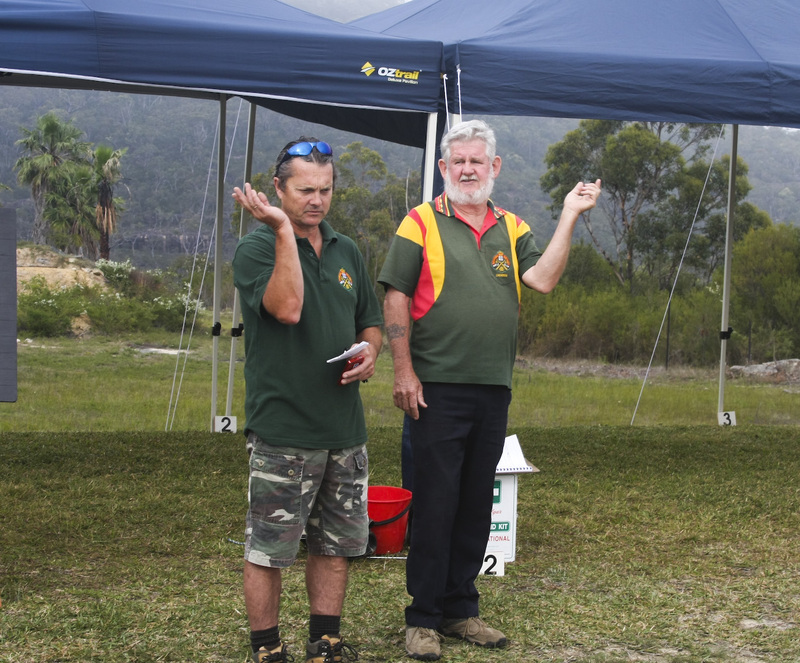 The competition was opened by Wayne Bunting and Dennis Smith. Then target numbers were drawn and I was lucky to shoot my first stage on Target 3, which is 2 targets away from scary Target 1. I finished the 1st stage with 50.6, however the draw for the second stage put me on Target 1. The wind was consistent and I was able to shoot my second stage with 50.4. 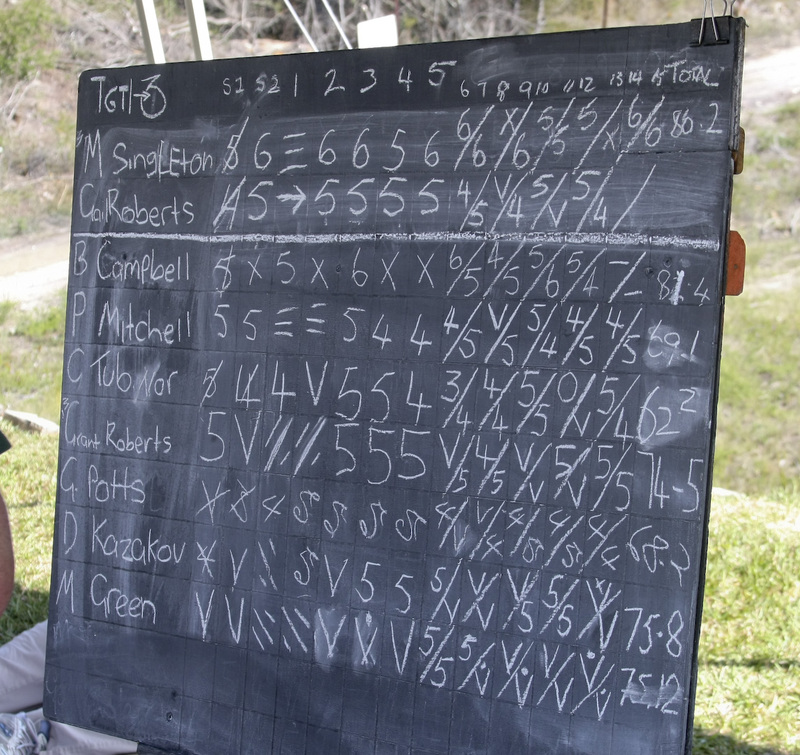 At the third draw I was again given Target 3 and managed to shoot a very good result of 75.8. Michael Green form Kambalda (WA) was shooting with me and managed to get an unbelievable result 75.12!!! The competition was very well organized. The only confusion I had was, as I haven’t participated in such an event before I did not put my number on the score card. When the target was drawn and announced I did not know what target I was on. The range Officer kindly helped to rectify my confusion and competition started. The weather was unstable and twice the shooting was interrupted by heavy rain. Shooters were given optional sighters. I would like to specifically mention Gosford’s markers! They were unbelievably quick and reliable. There were only a few times that the Range Office called to examine a target. On my last shot on the last stage, when I removed the bolt from my rifle, I missed the target being pulled, marked and lifted up again. Knowing my habit to fire my last shot onto the wrong target, I was really afraid when I was watching and waiting for the target to go down, but it does not. However the check scorer reassures me that everything is alright and I was lucky to get 75.8 on the last stage. Fernando Gregorio was very disappointed with his results which actually were very good as he took 3rd place in B grade with the aggregate result of 169.12 and won a medal. It was a really great event with a lot of friendly people around and I want to thank my Club and everyone who supported me in my first Championship outside our range. Great comments and exceptional photos across the whole of the site Dmitri. 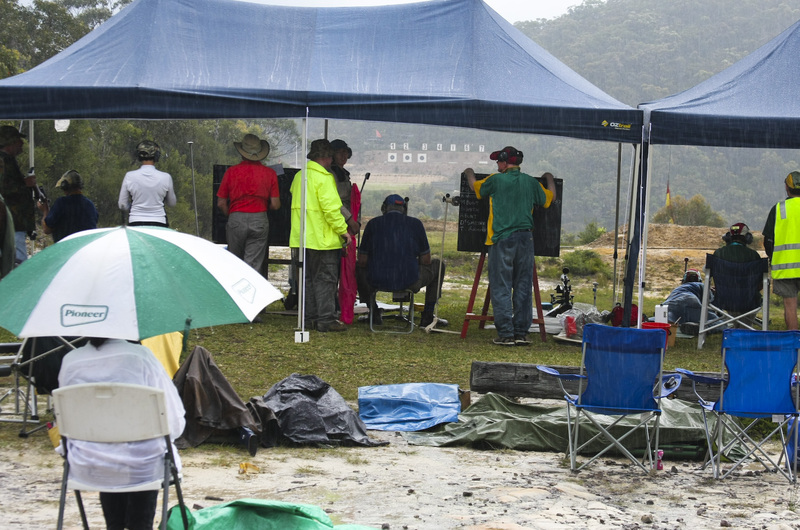 As a shooter on the day – more engaged with the competition than how it all looks – its makes going to this site a pleasurable experience that can be enjoyed later and in more comfortable circumstances.